Could the NFL Use an “Exclusive Remedy” Defense to Block Concussion Lawsuits? Recently, a number of retired football players have sued the NFL for damages arising from concussion injuries associated with the head trauma regularly incurred in professional football games. Does the NFL have an argument that closed head injuries incurred by employees – the players – are on the job injuries that are subject to remedy only under workers’ compensation. 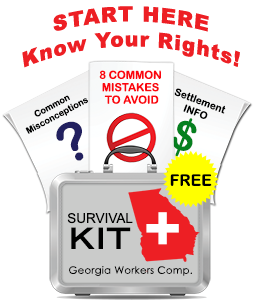 Under Georgia law, at least, workers’ compensation is the exclusive remedy for work injuries. An employee cannot sue his employer for pain and suffering damages. While the concussion litigation is just beginning, we can expect the NFL to argue that players should not be able to pursue civil damages outside of the workers’ compensation system. The players will argue that they should not be limited to workers’ compensation remedies because the NFL withheld information about concussions and because of exclusions set out in the collective bargaining agreement between the NFL and the NFL Players Association. The NFL has won one round in a related legal matter. Recently, the Atlanta Falcons and the NFL sued the NFL Players Association to prevent injured players from filing workers’ compensation cases in California, where the available benefits are more generous than those provided for under Georgia law. California law allows claims if the player played at least one game in the state. The case went to arbitration and the Falcons and NFL won – Falcons players who assert injuries that were incurred while the player was under contract with the Falcons must be filed with the Georgia State Board of Workers’ Compensation. 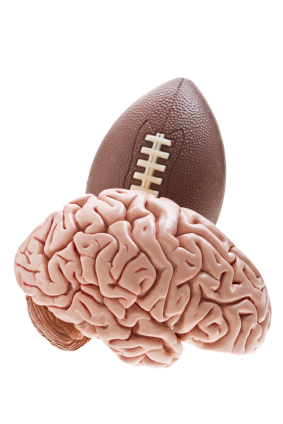 Over the next few months, we will learn if the traumatic brain injuries suffered by NFL players will be considered as something other than a workplace injury thus making the players eligible for negligence damages.